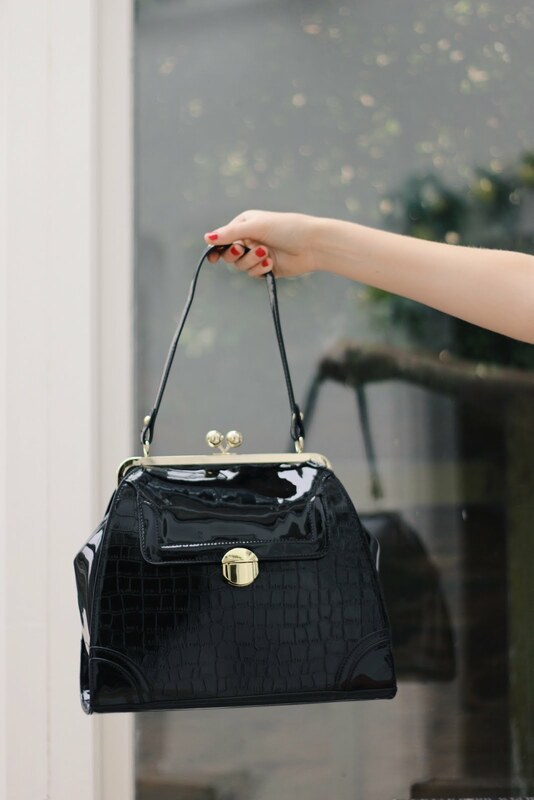 Whilst browsing the House of Fraser handbags section, most of the bags that stood out to me were by the brand Therapy... and this bag was the perfect combination of preppy and functional. 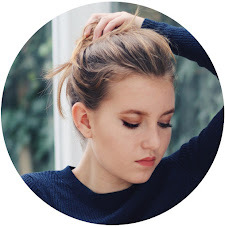 So in collaboration with House of Fraser, I'm excited to announce a giveaway for one reader to win a £30 House of Fraser gift card! 4. Check back in one week! The winner will be notified via email and will be announced in this space on July 1st. Update: congratulations to the winner of this giveaway, Zsuzsanna! Thanks so much to all who entered. This is such a lovely purse, girlie! 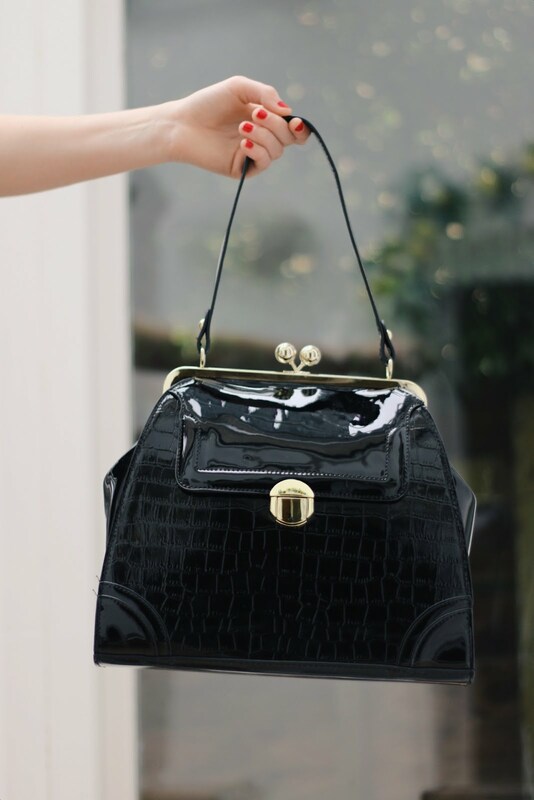 I love the lady-like shape, as well as the croc print and texture, very chic and definitely a perfect bag to store everything! Lovely giveaway, too! Thanks so much for sharing and I hope you're having a great week so far! 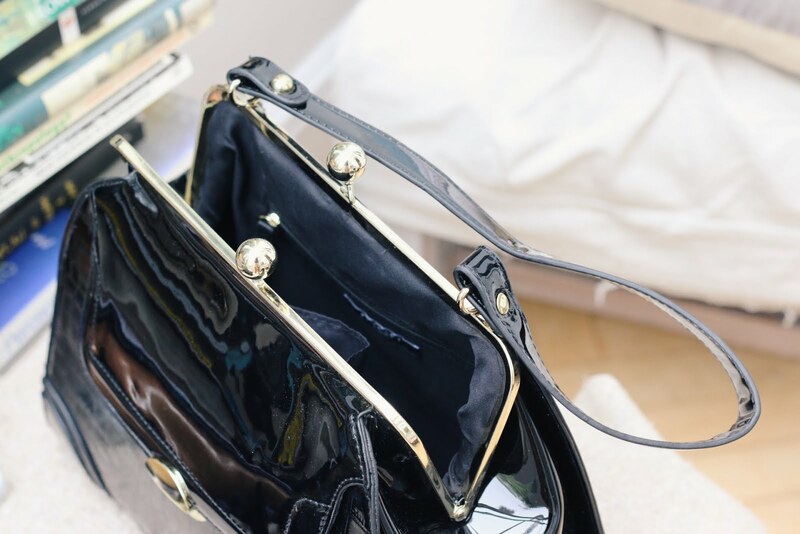 Love this bag and the size looks perfect to carry everything you would want! Lovely vintage bag! I my kind of style too! Here you can find the perfect dress beautydress small evening dresses gauteng reviews for your evening party corset style strapless floor length gown.